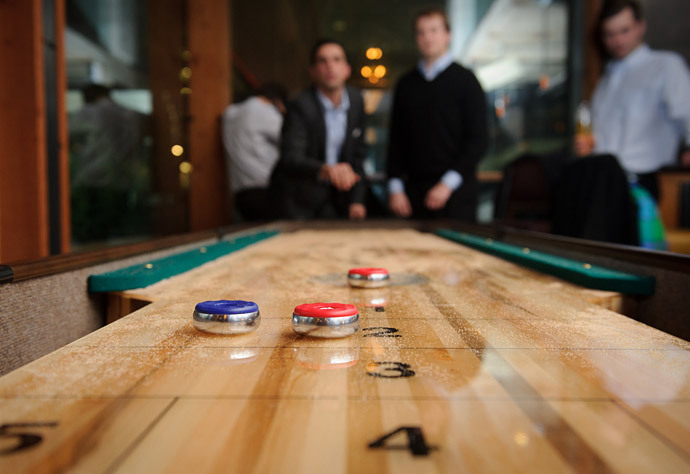 Before getting starting, you must know what shuffleboard table is, and shuffleboard game is? 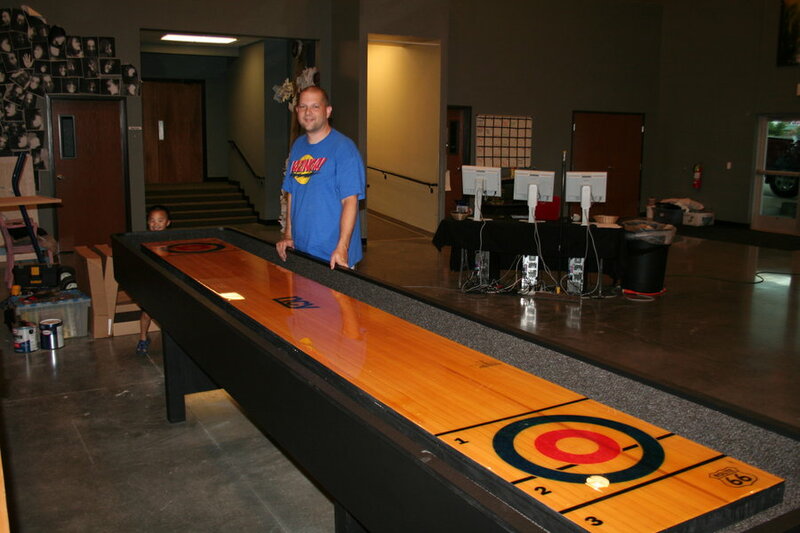 It is a game which is played by the pucks also known as the metal and plastic weighs which the players push down the shuffleboard table, a long wooden table made for this game. The players shoot the pucks from hands to score area which is located at the end or the other part of the table. How to Adjust and Maintain the Shuffleboard Table? As an owner of the shuffleboard table, you must know how and what it takes to take care of your table. A good shuffleboard table is an investment which allows you to play the game whenever you like that is why the protection will help you improve the life of your table as well as you should spend in taking care of your table too. That is why a proper shuffleboard table needs care, maintaining as complete cleaning too. Here are some methods to maintain and adjust the shuffleboard table at home. When it comes to the placement, you should keep in mind that the location must not face the direct sunlight such as door or window. The sunlight damages the table as it expands and contracts the wood, it can even warp your table that is because the sun rays to dry the silicon spray which is applied on the surface of the table and damages it. Make sure that there is enough space on the sides of the table so that the players can easily walk from sides and the outer cabinets are secure from the dents and dings. One essential tip to improve the life of your table is to cover it when you are not using it that will help in preventing all types of sunrays, dirt, and dust. It also extends the quality of your game. How to Clean and Maintain Your Shuffleboard Table? For cleaning purpose, you must know and understand the finish of your table, in case you don’t have any idea about it, go to the manufacturer model or contact them to find out. The most common is the polymer coating which provides you a smooth and glass-like finish. The other one if the lacquered finish which is of colored and transparent wood which has more durable and hard finish too. There is a variety of finishes which a shuffleboard table has. As the wood has the old and classic finish, you can use the general method of using the water and vinegar to clean it. Even you can add few drops of wood polishes which allow you to have rich tones of wood. The shuffleboard table which has the polymer finishes can easily clean with the help of damped rag and wipe down. You can also use multipurpose cleaners as well as glass cleaner to clean the finish of your table. Also, make sure that you are not using any harsh detergents and liquids which can damage or deteriorate the shuffleboard table finish. You can clean and polish these finishes with the excellent quality furniture grade wax, these are made and applied only for the wooden application, and this will help you enhance the look and life of your shuffleboard table. Also, you can get up to date your table with polishing it every once a month or whenever it is required. How to Maintain Your Shuffleboard Table? When you have polymer finish, you need to adjust more than the regular and traditional wood finish. You need to change the climate of shuffleboard table so that you can have fun and your table work correctly. It is an essential accessory for your indoor and outdoor tables as it protects it from damaging and prevents it from dirt, dust as well as any other issues. It is highly recommended to cover your shuffleboard table with right cover as it also helps in preventing any types of watermarks, accidents even spills. That is why it is the best investment for personal and commercial shuffleboard table. It also helps the owner to reduce the sun damages and to cut the heat issues with your table. It helps in making the surface nice and smooth, reducing any scratches on your table made from sticking. The wax also helps the puck to glide and move on the sand, not on the table itself. As much as any other thing is necessary, your refinishing products are essential too which allows you to maintain the shine as well as wood quality with a professional look.